Wery nice clean place. We will go there again for sure. 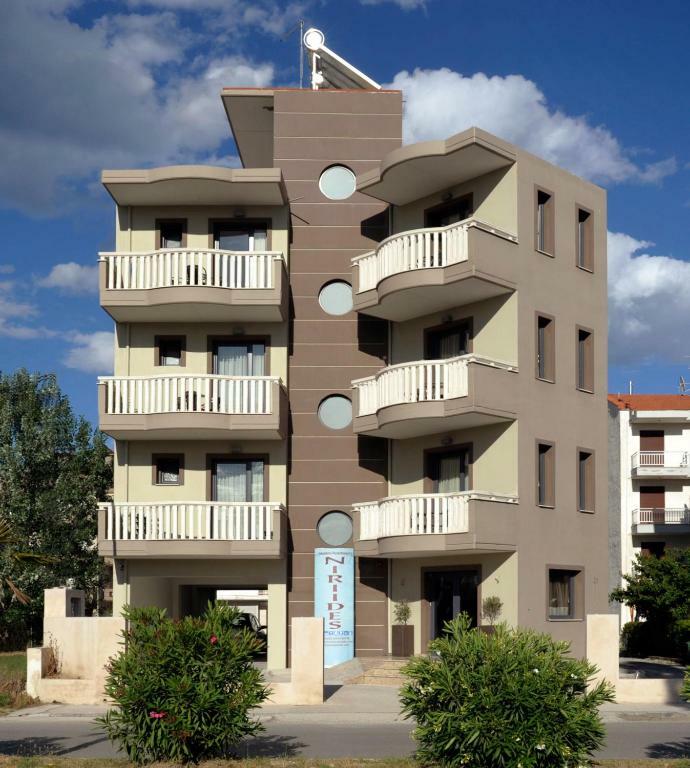 Very clean and brand new building, and appartments. 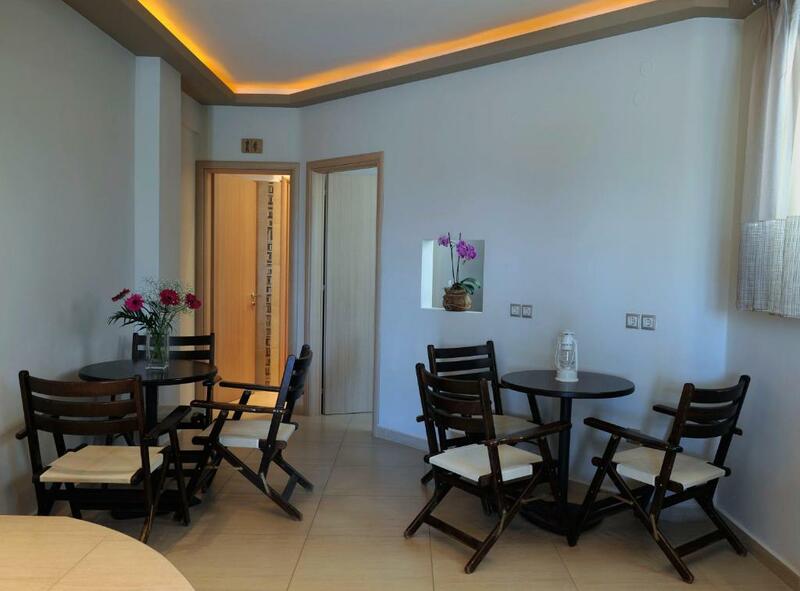 Location is excellent - quiet and at th same time very nice for evening walks at the main streets with everything for everyone (entertainment for children and bars for adults). Travelling with a car gives you a choice for any location you like at the sea side. Very, very polite and friendly staff!!! They waited for us until 23h, helped with everything and made us feel comfortable. Staff were very friendly and helpful. Good views of Mt Olympus. We especially liked the personell, very friendly, always smiling, positive energy. The room was clean, sunny with a big balcony. If you are looking for relaxation and quietness this place is perfect. The hotel personnel and Natasha are wonderful. Rooms are clean. There is a well working air conditioner. High speed of the wireless wi-fi. Lock in a great price for Niriides Studios and Apartments – rated 9.4 by recent guests! One of our best sellers in Paralia Katerinis! Niriides Studios and Apartments is located in Paralia Katerinis, 1,000 feet from the beach and 3.7 mi from Katerini Town. 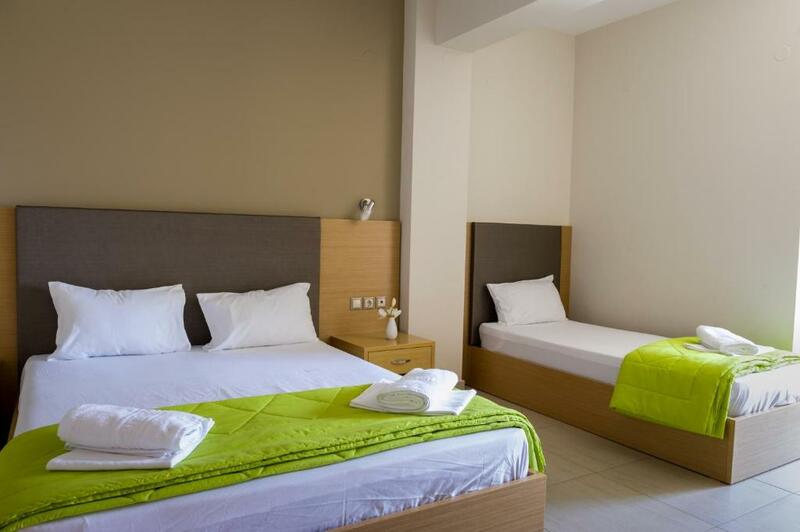 It offers air-conditioned rooms with modern décor and free Wi-Fi in all areas. Opening to a balcony, all rooms are airy and decorated in beige and brown tones. Each includes an LCD TV and mini fridge. 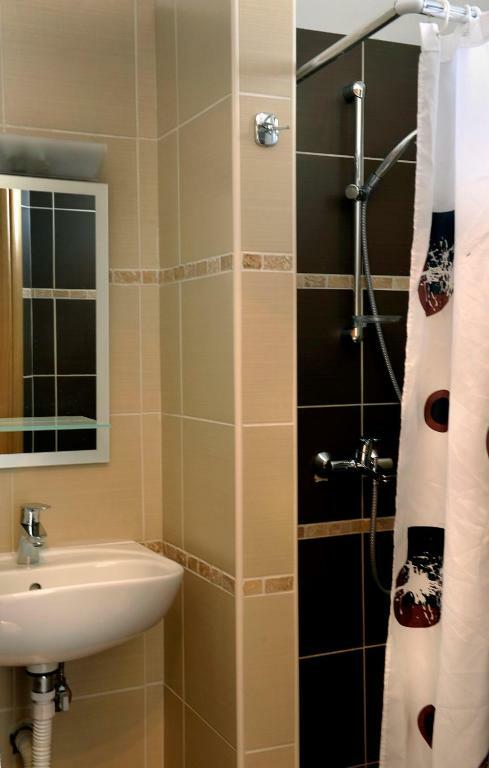 The private bathroom is fitted with a corner shower. Guests can find a variety of taverns and bars within 1,000 feet from Niriides Studios and Apartments. 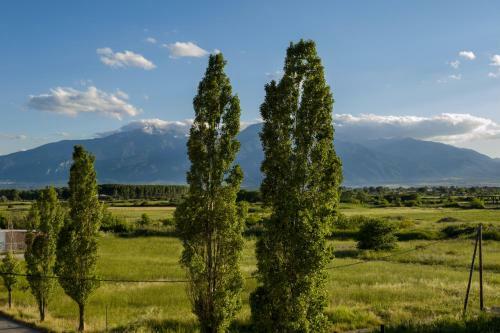 The archaeological site of Dion can be reached within a 30-minute drive. Thesaloniki International Airport is at 50 mi. There are a few private parking spaces on site, and guests are free to use the public off-street parking. 뀐 Located in the top-rated area in Paralia Katerinis, this property has an excellent location score of 9.2! 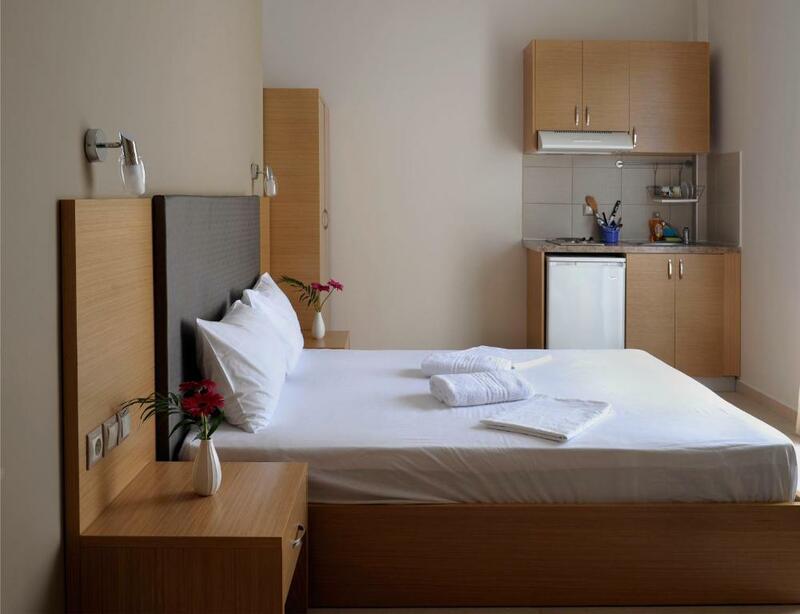 When would you like to stay at Niriides Studios and Apartments? Opening to a balcony, this air-conditioned room is modernly decorated in beige and brown tones. It offers an LCD TV and mini fridge. Free Wi-Fi is available. 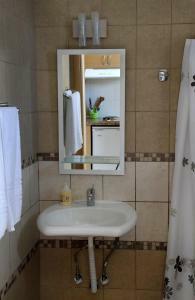 Offers bathroom with shower, LCD TV, balcony and kitchenette with fridge. Free Wi-Fi is available. 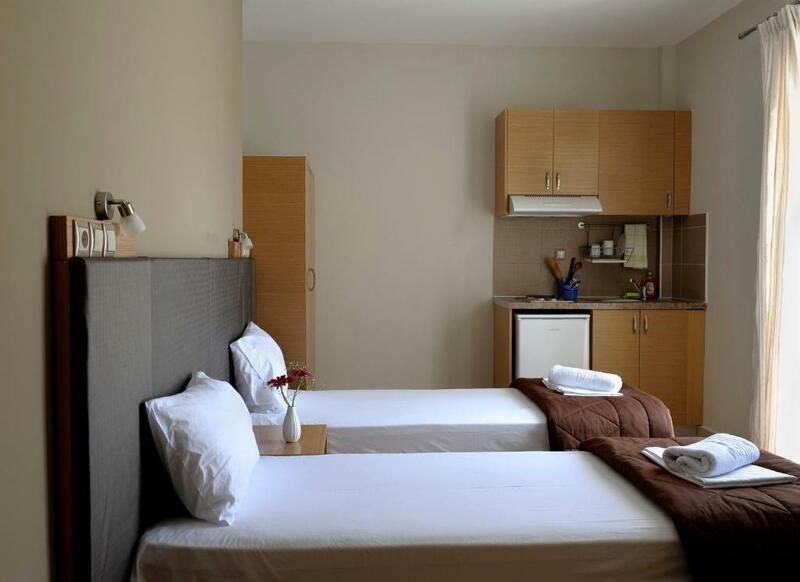 Air-conditioned room offering bathroom with shower, LCD TV, balcony and kitchenette with fridge. Free Wi-Fi is available. 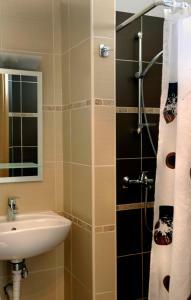 This appartment offers 2 bathrooms with shower, 2 balconies and 2 plasma TVs. 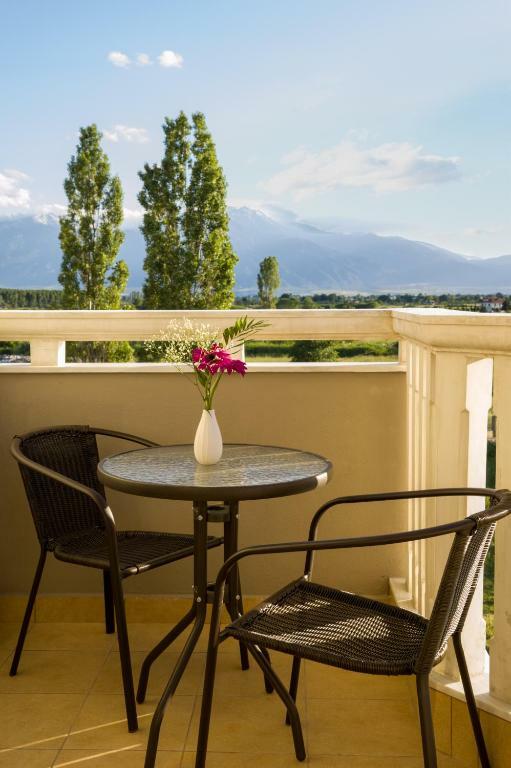 It has a views of Mount Olympus. Free Wi-Fi is available. House Rules Niriides Studios and Apartments takes special requests – add in the next step! Niriides Studios and Apartments accepts these cards and reserves the right to temporarily hold an amount prior to arrival. Please inform Niriides Studios and Apartments of your expected arrival time in advance. You can use the Special Requests box when booking, or contact the property directly using the contact details in your confirmation. The aircondition was not cold enough even on coldest setting. The TV channels are only in Greek with only a couple of news channels in English. The wifi was very slow in our room and also the shower area was tiny. Parking is on the street. The air conditioner is noisy. Uncomfortable mattresses. There were no such things! They were super helpful and friendly! Only the rain 😆. Maybe a pool will bring Niriides to a 10 - in the unliked rainy days. 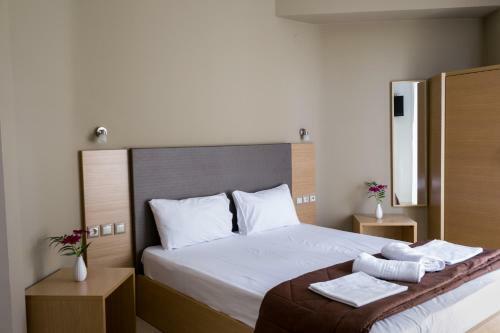 Very nice place, clean and big rooms. What we liked the most was the kindness of the peoples, they will make you feel like you are visiting your friends. So the people from Niriides are great - 10+! Thank you for that!